Timber getters first became interested in the Manning River catchment in about 1828 when the abundance and quality of cedar became known and, later, for the enormous resources of high quality hardwood construction timbers that are milled today. 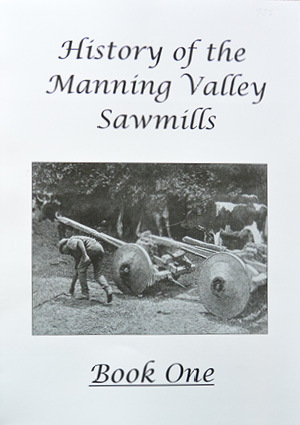 In this set of seven books Arthur has recorded the history of some eighty sawmills. Book One includes: Scotts Creek and Summer Hill Sawmills (Mitchells Island), Coopernook, Pampoolah, Redbank, Old Bar Forest and Walterston (Lansdowne) sawmills.